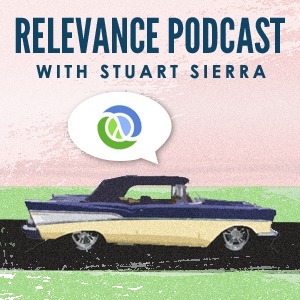 This past February, I found myself driving across rural Virginia with Stuart Sierra enroute to Relevance World HQ. We had a few hours to kill, and I had recently had the opportunity to work extensively with Stuart on a Clojure project for a client. Stuart has a particular - and, in my experience, productive - way of arranging things, so I thought it would be fun and informative to record an episode exploring it. Our conversation covered some of the same ground as Stuart's Clojure/West presentation "Clojure in the Large", so if you want to hear more, keep an eye out for that video, to be released in the coming months. Stuart chose "High Ideals" by Elbow as the intro, and "The Bridge" by Eddie from Ohio to end the show.